In a large bowl, mix the almond butter and olive oil with a handheld mixer until smooth, then blend in the eggs and agave nectar. In a medium bowl, combine the almond flour, arrowroot powder, salt, and baking soda. 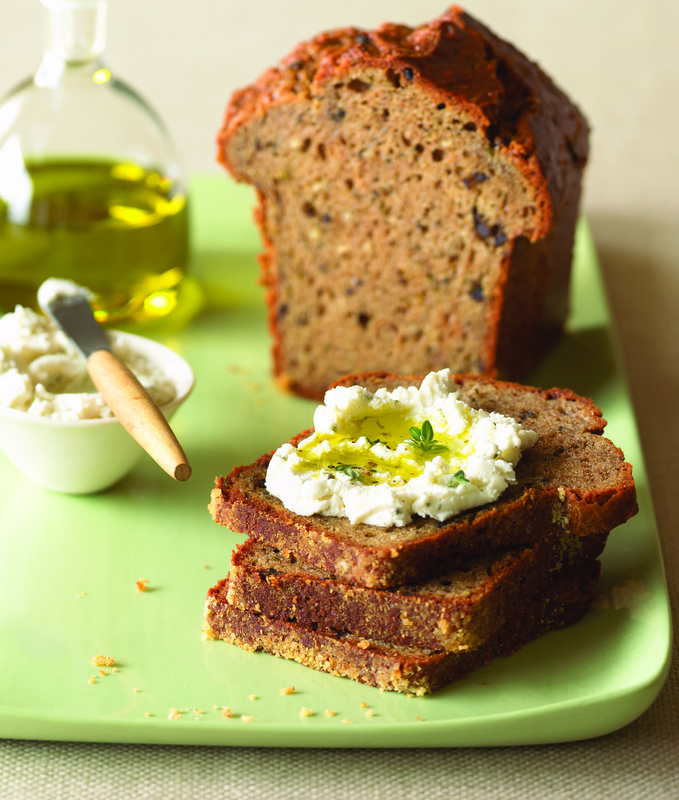 Blend the almond flour mixture into the wet ingredients until thoroughly combined, then fold in the olives and rosemary. Pour the batter into the loaf pan. Enter the Gluten-Free Giveaway: Elana Amsterdam is generously donating 3 of her the GLUTEN-FREE ALMOND FLOUR cookbooks! Deadline: April 1 – 17th. This looks sooo delicious, I can’t wait to try it!